Description: Eastbound train 276 hits the Ann Arbor diamond at Durand. 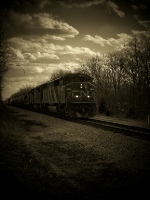 Title: CN 5504 about to hit dimonds. 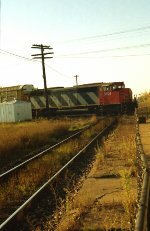 Description: My first leading BCOL Unit drags a CN Train down the Ex-IC just north of Arcola.